If you’ve received an accusation from the Bureau of Automotive Repair, it’s important to remember you are not going into court to clear up a “disagreement” with the BAR. It’s a fight, and their lawyers are looking to bring your business down with a one, two punch. The only way to prepare is to immediately talk to a defense lawyer against the Bureau of Automotive Repair. Fighting for SMOG shops is all we do. Our legal team is well trained to make it a battle royal in court. BAR accusation letters, licensing issues, STAR invalidations, and interim suspension orders are just a few of the cases we manage. The goal is to bring down all allegations and help you walk away with your SMOG testing business intact. Train Daily and Train Smart: We know what the BAR will try and throw at you. Allegations like clean plugging, clean piping and break/lamp inspections all include common tactics we are prepared to battle against in court. Get up and Go! : Boxers get up early every morning to hit the gym and train. 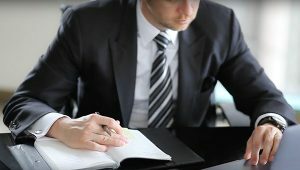 Our attorneys get to work immediately and make sure to promptly manage paperwork, meet court dates and review all smog testing accusation from the BAR. Stay Healthy: A smart boxer takes care of his daily health and personal business while training. If you have a STAR certified shop to run, take care of it and let us manage the stress of handling your case. Be Prepared to Battle Until the Final Bell: Training includes building the stamina to fight for all twelve rounds. Just because we win one case, we know the BAR can issue a new accusation to the same client. Don’t allow the Bureau f Automotive Repair to knock your SMOG business out cold. Contact our prize-winning team of defense lawyers ready to fight in court and WIN.